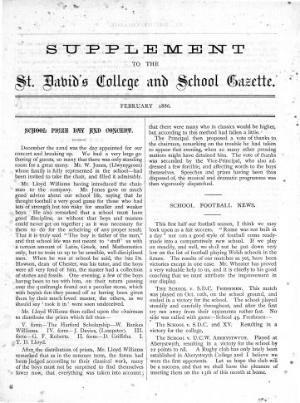 The monthly periodical of St. David's College and School, Lampeter. The periodical's main content was news from the school and college. The periodical was edited by Charles Lett Feltoe.